Orders of Goods, whether sent to us directly or given to our representative, and whether verbal, in writing, or electronically submitted, do not constitute a contract until they have been accepted by us either by written acknowledgement or by sending the Goods involved. 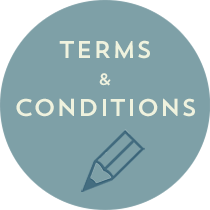 Any order denotes acceptance of these Terms and Conditions. Prices are subject to alteration without prior notice and goods will be invoiced at the current price relevant to the day the order is completed by us, together with applicable Value Added Tax. Unless subject to any agreed settlement discount terms, all invoices are strictly net and due for payment on or before 'Agreed Terms' from invoice date. If payment is not made by the due date, interest will be charged on the amount overdue, at the rate of 3% per month or part thereof, until payment is made. We reserve the right to withhold further deliveries until all overdue amounts are paid in full. Where applicable, postage, packaging and insurance costs will be charged in additionally. For goods damaged on delivery, short deliveries, or items recieved and not ordered, we must be notified in writing within three days of delivery. Telephone notification alone is not sufficient. Returned goods will not be accepted unless agreed by us in writing. All returns must be accompanied by our Returned Goods Form. We are responsible for manufacturer's faults only. We are not responsible for any other damage. Items must be returned within one year of invoice date, with invoice number stated. Items purchased beyond one year ago will not be accepted. Hollow items are checked before dispatch. Any item dented in posting, must be returned within three days of invoice date. Any dented items returned beyond three days, will be treated as customer damage and credited at scrap value. Repairs or replacements and return postage will be charged if the above the requirements are not met. Undamaged goods will be credited if returned within seven days of invoice date. A 5% handling charge will apply. Items over seven days will only be accepted at our discretion. Items purchased over 60 days will not be accepted. Goods must be returned in exactly the same condition as received – with original unmarked packaging and label, or a £2 handling charge will apply to each item. Non-catalogue items, special orders, samples, clearance goods and special deals are non-returnable for exchange, repairs or credits. If the above conditions are met, we will credit goods at an amount lower to the invoice price or a price relevant to date of receipt. Postage charges are non refundable. For Health & Safety reasons, we will not accept earrings if not in their original sealed packaging. Please ensure goods are adequately packaged to avoid damage in transit. We recommend all goods are sent by Recorded Delivery or Special Delivery. Responsibility for risk of damage to or loss of goods shall pass to the Buyer at the time of delivery and we shall relinquish responsibility in respect of the safety or security of the Goods thereafter. 9.1 Notwithstanding delivery and passing of risk in the Goods or any other provision of these Conditions, the property in the Goods shall not pass to the Buyer until Treasure House Limited, (hereinafter 'The Company') has received in cash or cleared funds payment in full of the price of the Goods and all other Goods agreed to be sold by The Company to the Buyer for which payment is then due. 9.2 Until such time as the property in the Goods passes to the Buyer, the Buyer shall hold the Goods as The Company's fiduciary agent and bailee, and shall keep the Goods separate from those of the Buyer and third parties and properly stored, protected and insured and identified as The Company's property. Until that time the Buyer shall be entitled to resell or use the Goods in the ordinary course of its business, but shall account to The Company for the proceeds of sale or otherwise of the Goods, whether tangible or intangible, including insurance proceeds, and shall keep all such proceeds separate from any moneys or property of the Buyer and third parties and, in the case of tangible proceeds, properly stored, protected and insured. 9.3 Until such time as the property in the Goods passes to the Buyer, (and provided the Goods are still in existence and have not been resold), The Company shall be entitled at any time to require the Buyer to deliver up the Goods to The Company, and, if the Buyer fails to do so forthwith, to enter upon any premises of the Buyer or any third party where the Goods are stored and repossess the Goods. 9.4 The Buyer shall not be entitled to pledge or in any way charge by way of security for any indebtedness of any of the Goods which remain the property of The Company, but if the Buyer does so all moneys owing by the Buyer to The Company shall (without prejudice to any other right or remedy of The Company) forthwith become due and payable. The Company shall not be liable for any loss, damage or expense suffered or incurred by the Buyer due to any delay caused or contributed to by any fire, accident, breakdown, industrial dispute, difficulty in obtaining materials, war, force majeure or any other occurrence or circumstances whatsoever beyond the control of The Company. All conditions and warranties, statutory or otherwise, as to the quality or fitness of our Goods for any purpose, are hereby excluded and no responsibility will be accepted by us for any damage, loss or injury except insofar as such exclusion is prevented by English Law. Any liability in respect of the quality or fitness for purpose of Goods supplied, or late or non delivery of goods ordered, shall not extend to loss of profits or any other consequential financial or economic losses. All requests for Credit Facilities or supply of Goods will denote your acceptance and permission for The Company to undertake a search through Credit Reference Agencies. The contract shall be governed by the Laws of England and the English Courts shall have exclusive jurisdiction to determine all questions or matters relating to or arising out of the contract.